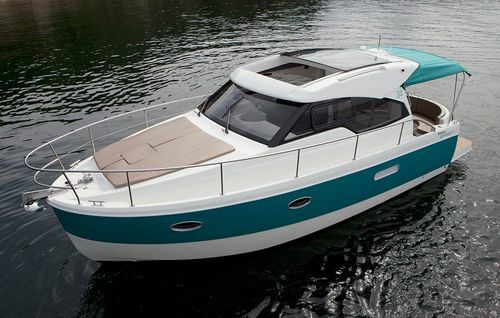 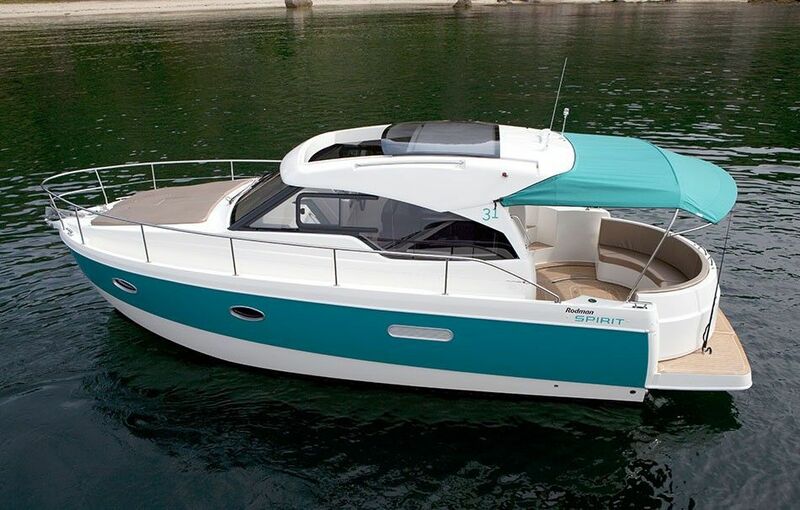 inboard cabin cruiser / twin-engine / hard-top / 8-person max. 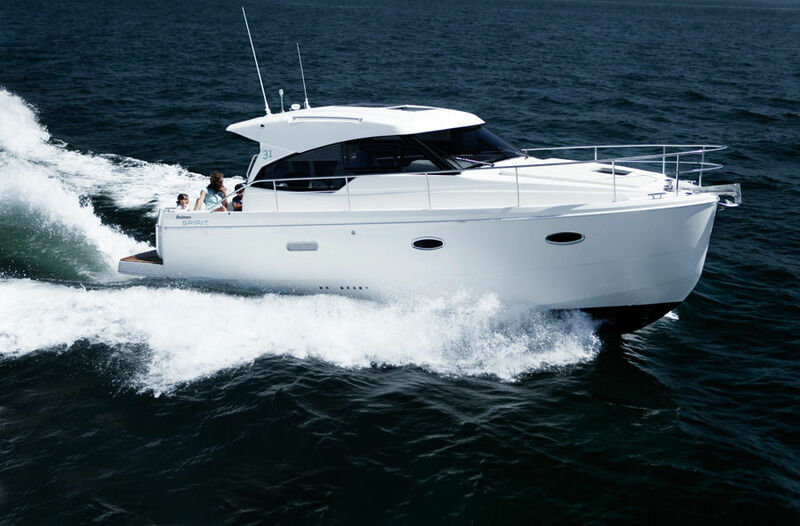 Discovering new moments and living new experiences onboard is something innate to this boat. 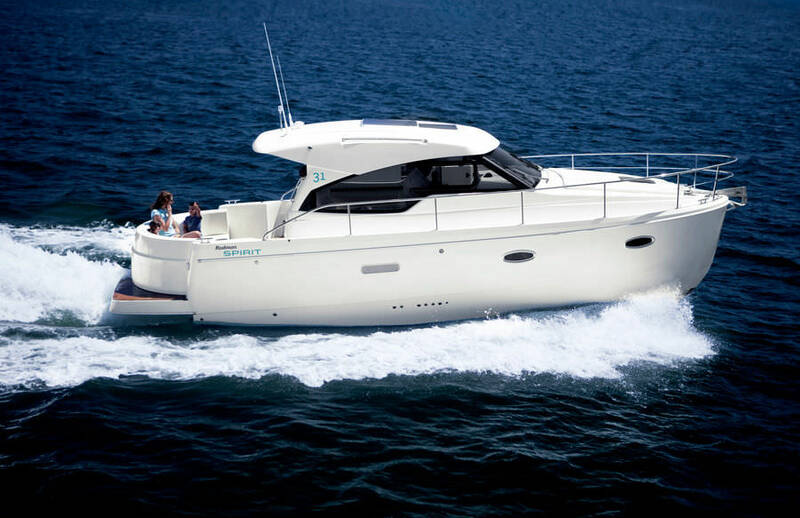 The way the aft seating opens, transforms the cockpit and the bathing platform into a completely integrated arrangement, leaving an ample and comfortable space to enjoy the sun and the sea. 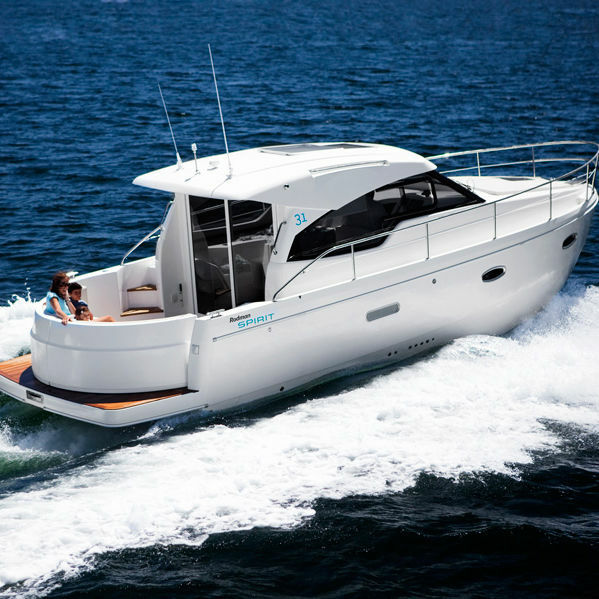 Simply relaxing in your spare time aboard, with family, friends or by yourselves, becomes an experience in itself.